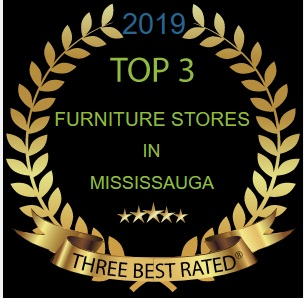 This website is owned and operated by ARV Furniture whose registered office is at 5925 Tomken Road, Unit­6, Mississauga, CANADA, Tel. 905­6708775 and who shall be referred to as "Us" and "We.” Use of this Website at any time signifies your acceptance and agreement, of yourself or any person you purport to represent, to be bound by these Conditions of Use as they then read, and you represent and warrant that you have the legal authority to agree to and accept these Conditions of Use on behalf of yourself and any person you purport to represent. THIS IS A LEGALLY BINDING AGREEMENT BETWEEN YOU AND ARV FURNITURE. IF YOU DO NOT AGREE WITH THE PROVISIONS OF THESE CONDITIONS OF USE, OR IF YOU ARE NOT AUTHORIZED TO AGREE TO AND ACCEPT THESE CONDITIONS OF USE ON BEHALF OF THE PERSON YOU PURPORT TO REPRESENT, DO NOT ACCESS OR USE THE WEBSITE. We encourage you to review these Conditions of Use each time you visit the Website. The Website is made available to you for your lawful, personal use only. You may use the Website only in the manner described expressly in these Conditions of Use and subject to all applicable laws. Using the Website for any other purpose or in any other manner is strictly prohibited. You may print Website pages provided that you do not modify any of the pages and you do not remove or alter any visible or non­visible identification, marks, notices, or disclaimers. The Website and its content including without limitation all logos, text, graphics, images, photographs, derivative works, and other materials, and the collection, organization, arrangement, and assembly thereof (collectively, the “Content”), is the property (either owned or under right to use) of ARV Furniture and is protected by Canadian and international copyright, trademark, and other laws, and may not be copied, imitated, reproduced, republished, uploaded, posted, transmitted, modified, indexed, catalogued, mirrored or distributed in any way, in whole or in part, without the express prior written consent of ARV Furniture. You may not sell or resell any part of the Website or access to the Website. You may not use any software that is used in the operation or provision of the Website except while you are using the Website in accordance with these Conditions of Use. You are prohibited from violating or attempting to violate the security of the Website including, without limitation: (a) accessing data not intended for you or logging into a server or account which you are not authorized to access; (b) attempting to probe, scan or test the vulnerability of a system or network or to breach security or authentication measures without proper authorization; or (c) attempting to interfere with service to any user, host or network, including, without limitation, via means of submitting a virus, cancelbot, Trojan horse, worm, or other harmful or disruptive component to the Website, overloading, “flooding”, “spamming”, “mail booming” or “crashing”. Violations of any system or network security may result in civil or criminal liability. ARV Furniture will investigate occurrences which we suspect may involve such violations and may involve and co­operate with law enforcement authorities in investigating such occurrences and/or prosecuting users who are involved in such violations. ARV Furniture is not responsible for late, lost, incomplete, illegible, misdirected or stolen messages or mail, unavailable network connections, failed, incomplete, garbled or delayed computer transmissions, on­line failures, hardware, software or other technical malfunctions or disturbances or any other communications failures or circumstances affecting, disrupting or corrupting communications. ARV Furniture assumes no responsibility, and shall not be liable for any damages to, or viruses that may infect your computer equipment or other property on account of your access to, use of, or browsing on the websites or you’re downloading of any materials, data, text, images, video or audio from the websites. In no event shall ARV Furniture be liable for any injury, loss, claim, damage, or any special, exemplary, punitive, direct, indirect, incidental or consequential damages of any kind (including, but not limited to lost profits or lost savings), whether based in contract, tort, strict liability, or otherwise, which arises out of or is in any way connected with any use of the websites or content found herein, any failure or delay (including, but not limited to the use of or inability to use any component of the websites for purchases), of the performance or nonperformance by ARV Furniture , even if ARV Furniture has been advised of the possibility of damages by such parties or any other party. You may not use the Website in order to transmit any content or information, or modify, copy, tamper with, distribute, collect, store or destroy material: (a) in violation of any applicable laws, rules, or regulation; (b) in a manner that will infringe the copyright, trademark, trade secret or other intellectual property rights of ARV Furniture or any other person, or that will violate the privacy, publicity, or other personal rights of others; or (c) that is unlawful, fraudulent, threatening, abusive, libelous, defamatory, obscene, or otherwise objectionable. You may use the Website only for lawful purposes and in compliance with these Conditions of Use. Your access to and use of the Website is at your own risk. The Website and the information contained on this Website and any references to products or services are provided on an “as is” and “as available” basis, without any representations, warranties or conditions of any kind, whether express or implied, and including without limitation implied representations, warranties or conditions of or relating to accuracy, accessibility, availability, fitness for a particular purpose, merchantability, performance or durability, all of which are disclaimed by ARV Furniture to the fullest extent permitted by law. ARV Furniture also does not warrant or represent that your use or access to the Website will be uninterrupted, error­free, or secure, that defects will be corrected, or that the Website or any Other Site (as defined below) is free of computer viruses or other harmful components, including viruses, worms, and Trojan horses. You (and not ARV Furniture) assume the entire cost of all necessary servicing, repair or correction that is required as a result of your use of the Website or any Other Site. ARV Furniture reserves the right to seek all remedies available to it at law, equity, and otherwise for violations of these Conditions of Use. ARV Furniture and its providers, or their respective directors, officers, employees, or agents, are not liable to you or any other person for any direct, indirect, incidental, consequential, special, punitive or exemplary loss or damage arising from, connected with, or relating to the Website, including access to or use of the Site or any Other Sites (as defined below) or these Conditions of Use, or arising in any way out of the inability to use the Website or any of the Other Sites or their contents, including but not limited to loss of data, business, markets, savings, income, profits, use, production, reputation or goodwill, anticipated or otherwise, or economic loss, under any theory of liability (whether in contract, tort, strict liability or any other theory or law or equity), regardless of any negligence or other fault or wrongdoing (including without limitation gross negligence and fundamental breach) by ARV Furniture or any person for whom ARV Furniture is responsible, and even if ARV Furniture or an authorized representative is or has been advised of the possibility of such loss or damage being incurred. ARV Furniture reserves the right to seek all remedies available to it at law, equity, and otherwise for violations of these Conditions of Use. For your convenience, the Website may include links, references to other Internet sites or resources and businesses operated by other persons (collectively “Other Sites”). Other Sites are independent from ARV Furniture, and ARV Furniture has no responsibility or liability for or control over Other Sites, their business, goods, services, or content. ARV Furniture does not sponsor or endorse Other Sites or their business, goods, services, or content, unless expressly indicated in writing. Your use of Other Sites and your dealings with the owners or operators of Other Sites is at your own risk, and ARV Furniture is not responsible for, you will not make any claim against ARV Furniture arising from, connected with, or relating to, your use of Other Sites or your dealings with the owners or operators of Other Sites. As between you and ARV Furniture, these Conditions of Use, with all necessary modifications, apply to your access and use of any Other Sites and their business, goods, services and content. You may also be subject to, and are solely responsible for complying with, any additional terms and conditions associated with the use of the Other Sites. Any such terms and conditions do not in any way modify your obligation to comply with the Conditions of Use. 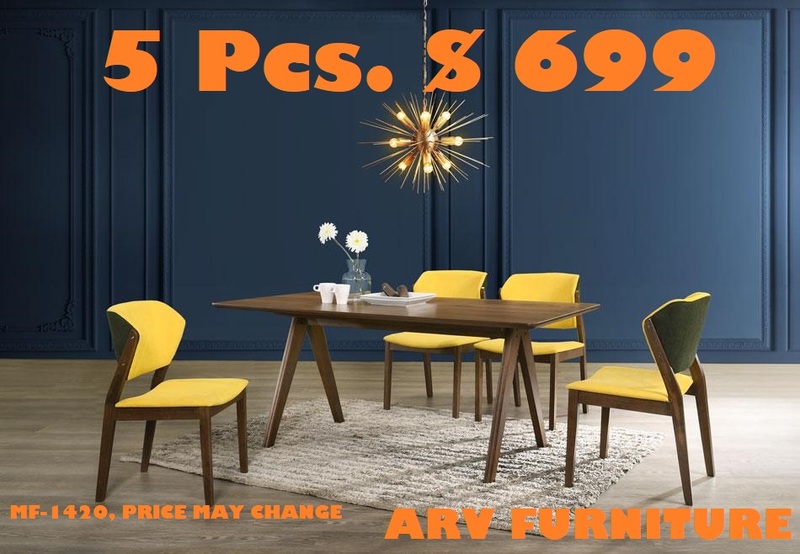 ARV Furniture may, in its sole discretion, post advertisements, and other promotional materials of third parties on the Website (“Third Party Material”). Third Party Material is not investigated, monitored or checked for accuracy, appropriateness or completeness by ARV Furniture and ARV Furniture is not responsible for any Third Party Material. Your correspondence or dealings with these third parties found on the Website are solely between you and such third party. You agree that ARV Furniture shall not be responsible for any loss or damage of any sort incurred as a result of any such dealings or as a result of their presence. Moreover, ARV Furniture shall not be responsible or liable for the statements or conduct of any third party on the Website. With regard to services or products purchased or obtained by you from someone other than us, we make no representation or warranty of merchantability or fitness for a particular purpose with regard to such services or products, and we hereby specifically disclaim any and all express and implied representations and warranties of any nature whatsoever as to such services and products. ARV Furniture may, in its sole discretion, change these Conditions of Use from time to time as they relate to future use of the Website, by posting revised Conditions of Use on the Website. BY USING THE WEBSITE AFTER REVISED CONDITIONS OF USE HAVE BEEN POSTED, YOU SIGNIFY YOUR ACCEPTANCE AND AGREEMENT TO BE BOUND BY THE REVISED CONDITIONS OF USE. You may not change these Conditions of Use in any manner. We encourage you to review these terms and conditions each time that you use the Website. These Conditions of Use are effective until terminated by ARV Furniture. Notwithstanding any other provision of these Conditions of Use, ARV Furniture may in its sole discretion change and for any reason, discontinue, modify, restrict, suspend or terminate the Website or any part of it without any notice or liability to you or any other person. ARV Furniture may in its discretion and for its convenience at any time immediately terminate, temporarily or permanently, these Conditions of Use or your or any individual’s permission to access and use some or the entire Website or any feature of the Website without any notice or liability to you or any other person. If these Conditions of Use are terminated, you are no longer authorized to access the Website and you must destroy all materials obtained from the Website. If these Conditions of Use or your permission to access or use all or any part of the Website is terminated for any reason, then the restrictions imposed upon you by these Conditions of Use, as well as all disclaimers, indemnities, and limitations of liability set forth in these Conditions of Use, shall survive termination of these Conditions of Use. All other than existing agreements between you and ARV Furniture will continue to apply and be binding upon you regarding your prior access to and use of the Website, and anything connected with, relating to or arising therefrom. ARV Furniture shall not be liable, obligated or otherwise responsible to you or any party for damages arising from the termination of these Conditions of Use, the Website, or your or any individual’s permission to access and use some or all of the Website, and ARV Furniture shall not be liable for any damages arising from such termination. In its sole discretion, in addition to any other rights or remedies available to ARV Furniture and without any liability whatsoever, ARV Furniture at any time and without notice may terminate or restrict your access to any component of this Website. These Conditions of Use , and all matters relating to your use of the Website, and any dispute that you may have with ARV Furniture, shall be governed by and construed in accordance with the laws of the Province of Ontario, without regard to conflict of law provisions. Sole and exclusive jurisdiction for any action or proceeding arising out of or related to these Conditions of Use or use of the Website must be brought in Mississauga, Ontario, Canada and you irrevocably consent to the exclusive jurisdiction of the courts of Ontario, Canada. These Conditions of Use constitute the entire agreement between you and ARV Furniture with respect to the subject matter hereof, and supersede all previous agreements between you and ARV Furniture with respect to the subject matter hereof. The Conditions of Use may only be amended by express written agreement between you and ARV Furniture. If any provision of these Conditions of Use is held to be invalid or unenforceable for any reason, then the provision will be deemed to be severed from these Conditions of Use and the remaining provisions will continue in full force and effect. These Conditions of Use inure to the benefit of and are binding upon each of ARV Furniture and its successors, assigns and related persons, and you and your heirs, executors, administrators, successors, permitted assigns and personal representatives. You may not assign these Conditions of Use or the rights and obligations under these Conditions of Use. ARV Furniture may assign these Conditions of Use and its rights and obligations under these Conditions of Use without your consent. No consent or waiver by ARV Furniture of any breach or default by you or any other party in its performance of its obligations under these Conditions of Use will be: (a) deemed or construed to be a consent to or waiver of a continuing breach or default or any other breach or default of those or any other obligations of that party; or (b) effective unless in writing and signed by all parties. Permission is granted only electronically to copy and/or print in hard copy portions of this website for personal non­commercial purposes. Any other use of materials on this website (including reproduction for purposes other than those noted above and modification, distribution, or re­publication) is strictly prohibited. All designs, text, graphics, program code, and the selection or arrangement of them are the copyright of us or our licensors. All trademarks, brand names, and company names or logos contained on this website are our property or our respective owners. No authority is given (implied or expressly) by us [or the contributors to the website] to deep link to or to frame any of the content that appears on the website or to use a representation of any of the company's names or logos, trademarks, brand names contained on this website. We reserve the right to prohibit links to our homepage. © ARV Furniture No part of this website may be reproduced or transmitted in any form or by any means or stored in a retrieval system of any nature without the prior written permission of ARV Furniture except for permitted fair dealing under the Copyright, Designs, and Patents Act 1988.